Are you a dangerous sort of man? 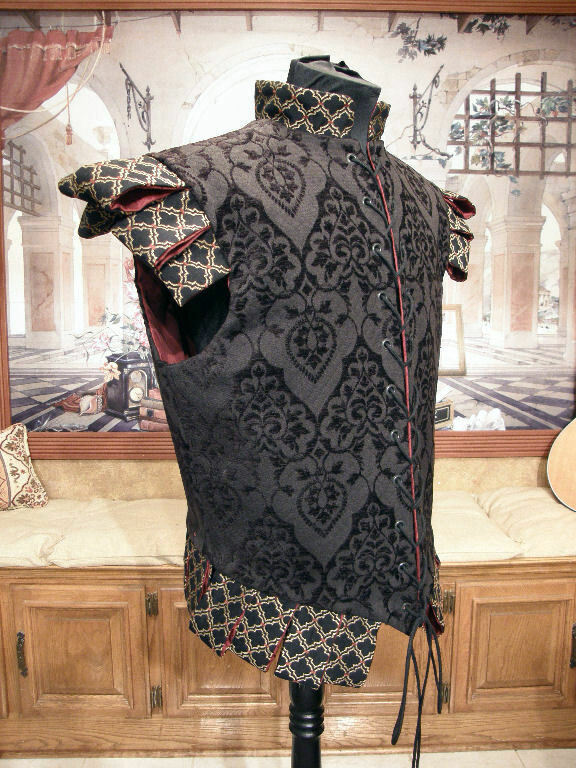 Do you grin wolfishly when, from behind, you hear the metallic swoosh of a sword being drawn from its scabbard? When you’re imbibing at a seedy pub, do your ears prick up at the whisperings of perilous plots being hatched at nearby tables? Are women drawn to you because they sense you’re rather a bad boy? Well, then. This is the doublet for you, my friend. 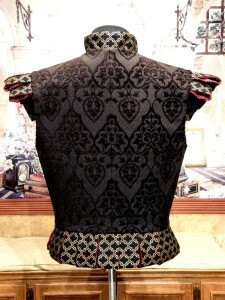 The magnificent doublet is made with a luxurious chenille fabric in the blackest of blacks with an elegant woven design. 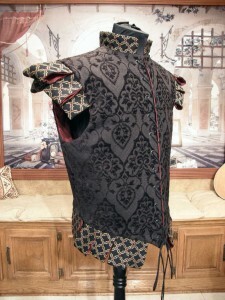 It is lined with red damask fabric and interlined with heavy weight interfacing. Lightweight boning has been inserted along the grommets for added structure and support. 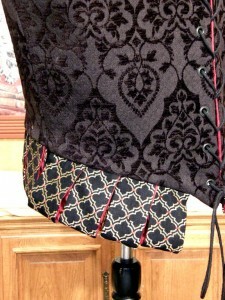 Heavy black cording laces through twenty machine pressed grommets. The cording ends are crimped with aiglets for ease of threading and a nice finished look. The rolled tabs at the shoulders and waist are made with a gorgeous jacquard fabric which boasts a woven fretwork pattern in colors of black, gold and red. 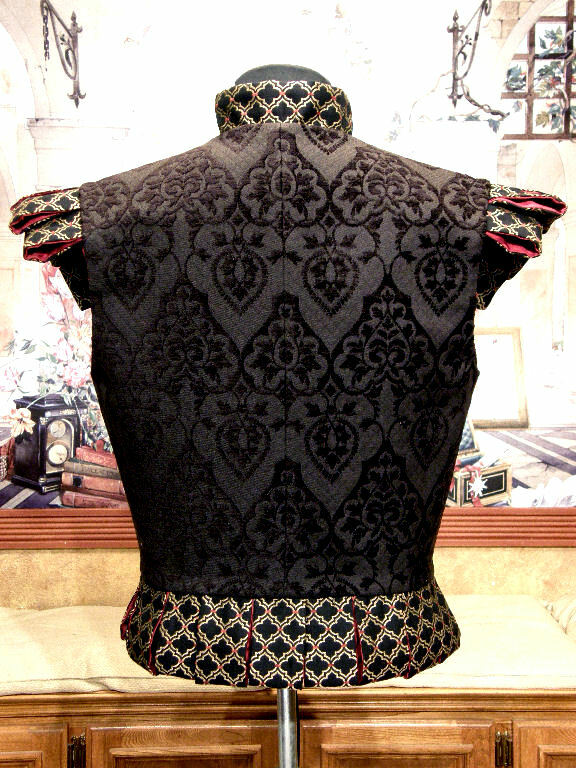 The rolled tabs are lined with the red damask fabric which peaks through enticingly. 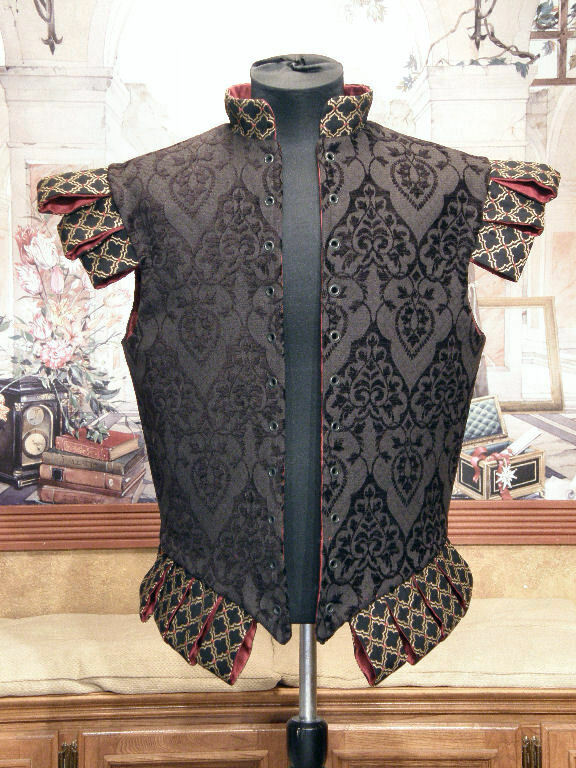 I must say, these looped tabs were a lot of work and thus the higher price for this doublet. 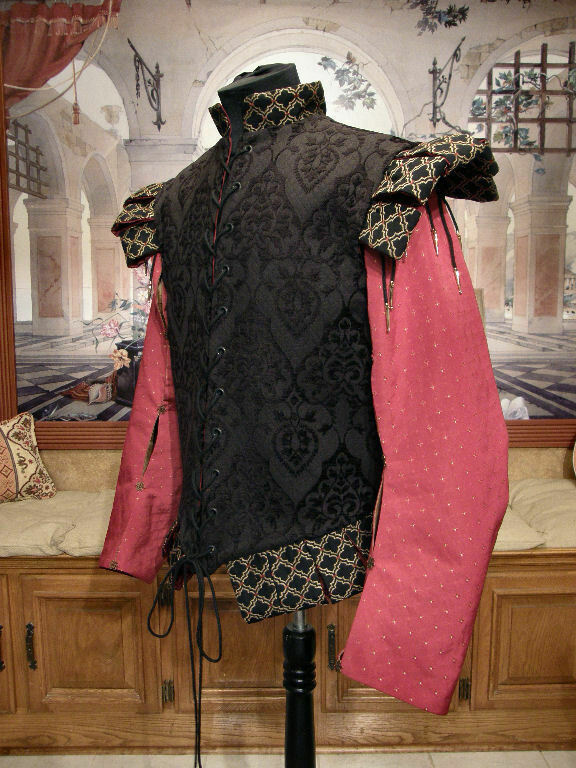 The sleeves are detachable and tie with cording (crimped with aiglets) to d-rings which have been placed inconspicuously inside the doublet armholes. 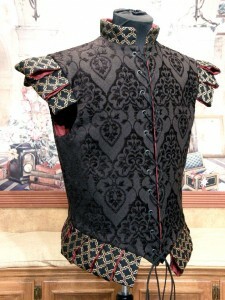 The fabric is a medium red jacquard which has a tiny woven ‘starburst’ type design in gold. (The combination of this fabric with the fabrics in the doublet is sublime and sadly, not reflected perfectly in the photos.) I’ve attached elegant metallic buttons at five places along the opening of each sleeve. 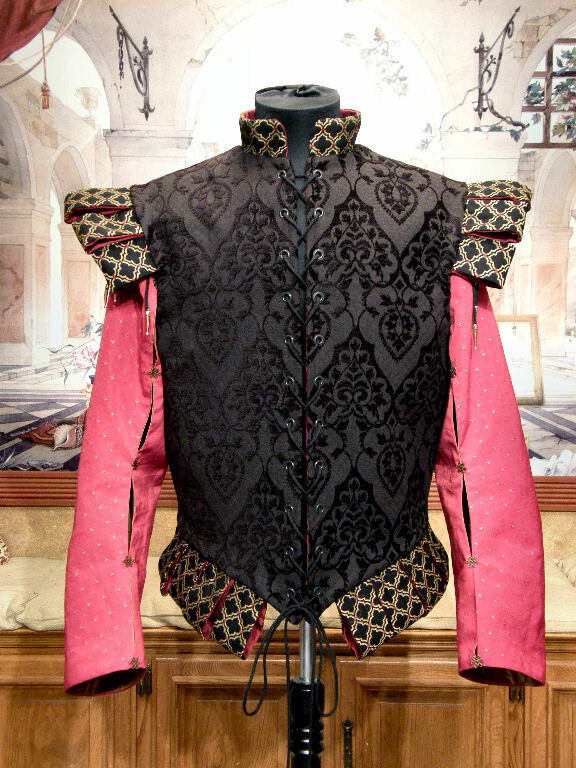 The sleeves are designed to allow glimpses of the shirt worn underneath. 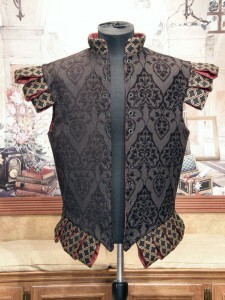 As you can see, it looks spectacular with or without the sleeves and is available for purchase either way.